Suffering from one too many out in Bristol? We all have those mornings where we wake up bleary-eyed, achey of head and regretting that final drink of the evening before. We also have our own strategies for dealing with a hangover, but I’ve found (unsurprisingly) that food, and extreme cases booze, is the only way out of the world of pain you’ve put yourself in. Here are my top tips for where to banish that hangover to whence it came – many are vegetarian (but can have meat options added to them) or can easily be made so. There are now 5 branches of Thali dotted around the city, so you’re never more than staggering distance from a flavoursome snack. They don’t just do thali however; their snack menu and lighter bites are also lovely. Masala dosas are light thin pancakes stuffed with a potato and pea curry – just the thing if you’re feeling a bit delicate. 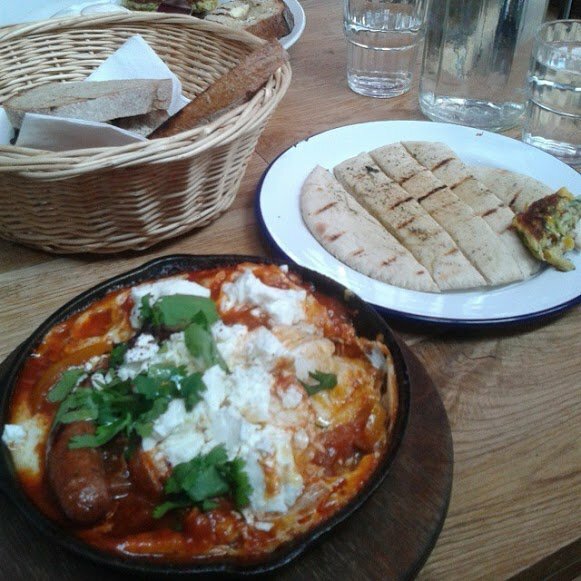 Eggs cooked in a lightly spiced tomato sauce, served with flatbread. Add sausage, feta or spinach if you like, but the best thing about this dish is its simplicity. Great juices on offer here too. As much as the favourites here are the rich and tasty custard tarts or cheesey scones, my favourite breakfast has to be their poached eggs on sourdough with avocado, date puree and greens. Not only will it set you up for the day, but you’ll feel like you’ve got your vitamins too. 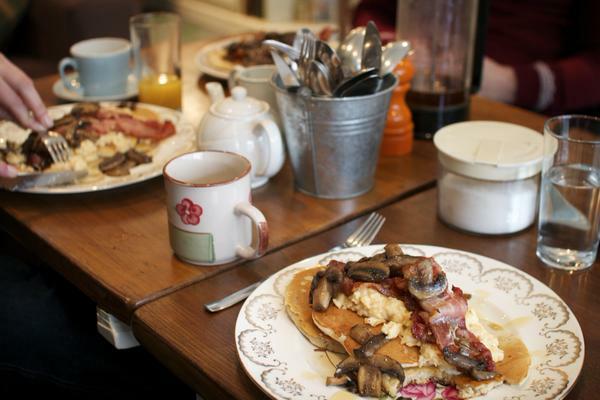 For more wholesome brunch suggestions, try The Top 10 Brunches in Bristol. Another Easton treasure – this little deli cafe just off St Marks Road not only sells great produce but also does arguably the best bacon sanger in town – a bold statement I know, but trust me. Bangin’ coffee too. You don’t get much stodgier (or tastier) than bagels, especially when you stuff them with burgers, salt beef or fish fingers, all of which are on the menu here. I’d particularly recommend the Verde Boy (lamb, salsa verde, halloumi, salad) or the Veggie Boy (Grilled mixed peppers, halloumi, leaves and pesto mayo). Got a sweet tooth? Pop along to this laundrette-cafe for a stack of fluffy American pancakes, which you can have with bacon, blueberries or both if you’re feeling fancy. If this teeny cafe is full when you arrive fear not, as yummy pancake stacks can also be found at Rocotillo’s – a great American style diner on the Triangle. Need something even stodgier? 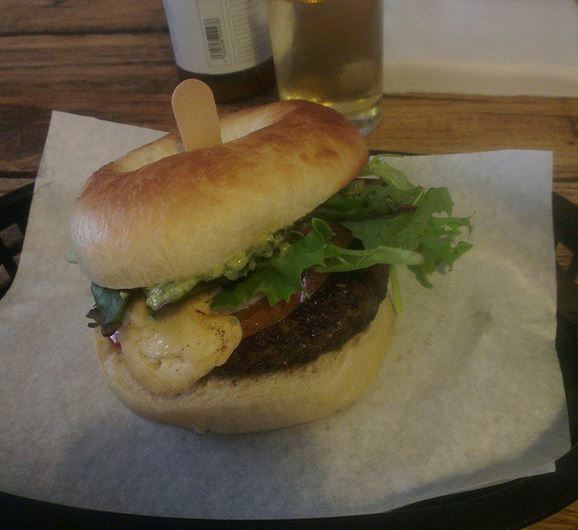 How about one of Bristol’s Best Burgers? Mackerel, chorizo, pepper, potato and egg – it may sound like a jumbled mess, but sometimes you need to throw as much as you can at a hangover and hope that one of those things does the job. Tasty too, mind. 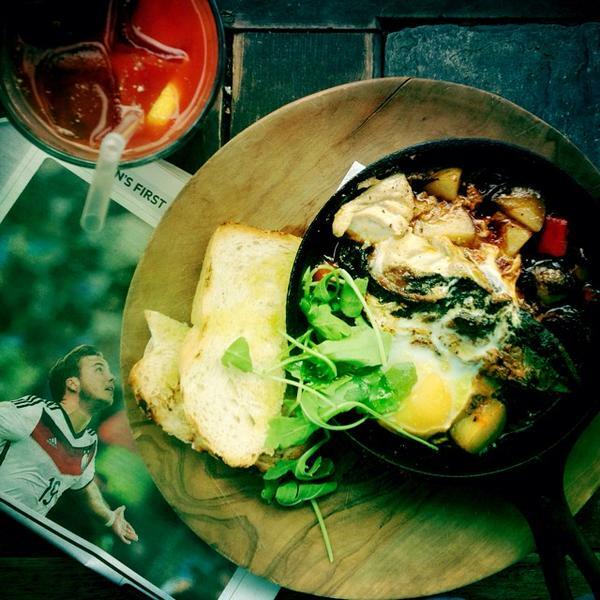 One of the biggest breakfasts out there – this beast won’t leave any room for a hangover once you’re done. They also make a good Bloody Mary, and have plenty of tasty beers on tap to take the edge off that headache. Can also be found at their new North Street branch. A pizza for breakfast? But of course! 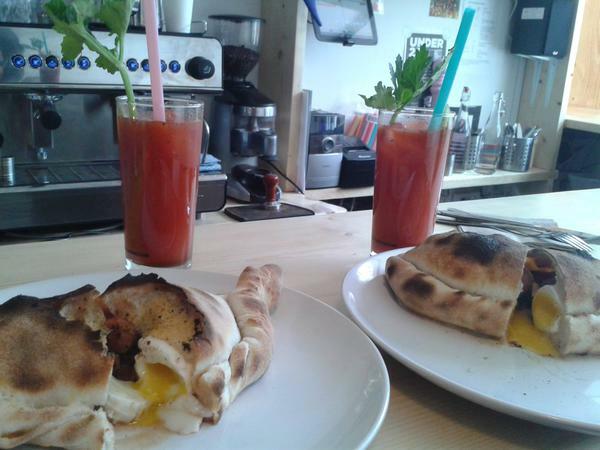 Luckily these guys also do a top notch Bloody Mary for you to have alongside your Italian stodge, belissimo! For more, see Bristol’s Best Pizza Joints. Alternatively, if you’re in a full blown hurricane of a hangover (dizzy spells, nausea, urges to turn over a new leaf and start a community farm should you live to see the end of the day), I suggest the best thing is to stay in bed and rely on the pity of your partner or housemate to bring you some Berocca and some Lucozade, and go on your food quests another day. Happy Hangovers! Like this? You’ll almost certainly enjoy reading about 11 Bristol eateries to nurse your soul.